Breakfast turned into gin tasting one morning at the Jackson House Inn. A young couple came to stay with us; we made pleasant conversation throughout breakfast service. At one point, however, the man veered from the topic at hand to ask whether we had come across any new spirits as of late. In fact, we had. As fate would have it, Caledonia Spirits just released their Barr Hill Gin three months prior, and we found it to be tasty. We poured a sample and placed it in front of our guest – mind you, this is all happening prior to 10AM. We watched as he went into this ritualistic state of sniffing it and putting it down, sniffing, putting down. Pause. Sniff. Put down. Finally, he took a sip of water. He went on to do this same sommelier-meets-spirits ritual an entire second time. His final round concluded with a much anticipated sip of gin. He then asked to see the bottle. “Could you set up a meeting? I’d like to meet with the distiller,” he said. We called Caledonia, they agreed, and our guest immediately trekked the two hours north to Hardwick VT that day. Before leaving the inn, we couldn’t resist asking the young couple to share what this was all about. I mean, that intense of a ritual had to have an interesting story behind it, correct? Turns out, this particular guest was a mixologist consultant from New York City. He said, “I don’t very often come across spirits that are clearly in a league of their own. Once every ten years you might find something this unique. 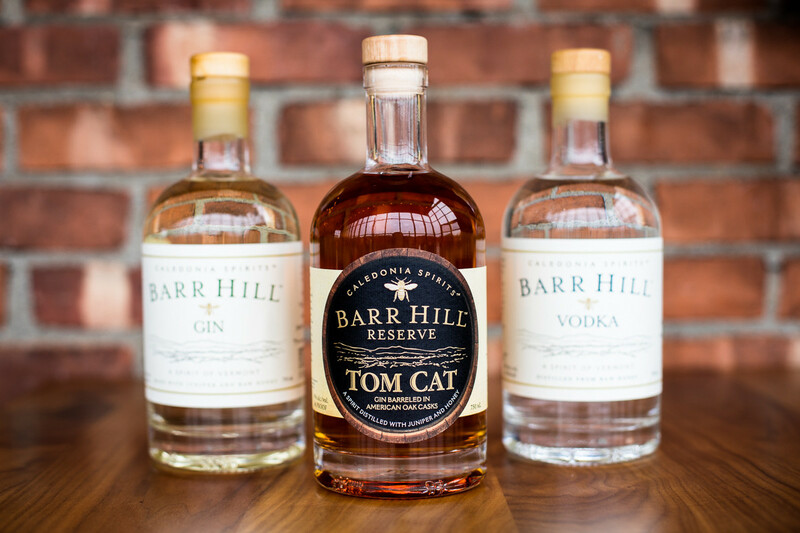 And this is why I wanted to meet the distiller – to understand his story and production.” He went on to promote Barr Hill Gin’s untainted honey profile in a variety of cocktails back home. This guest was not alone in his fascination with Barr Hill. Caledonia has the awards to prove this spirits’ special character. It won a Gold Medal and “Gin of the Year” at the 2013 Hong Kong International Wine and Spirits Competition, as well as Double Gold at the 2012 New York International Spirits Competition. And while Caledonia certainly puts much effort into making this elegant gin, they attribute most of the hard work to their honey bees. Their gin label pays homage to Caledonia Spirits’ affinity for bees and the sweet nectar they produce. 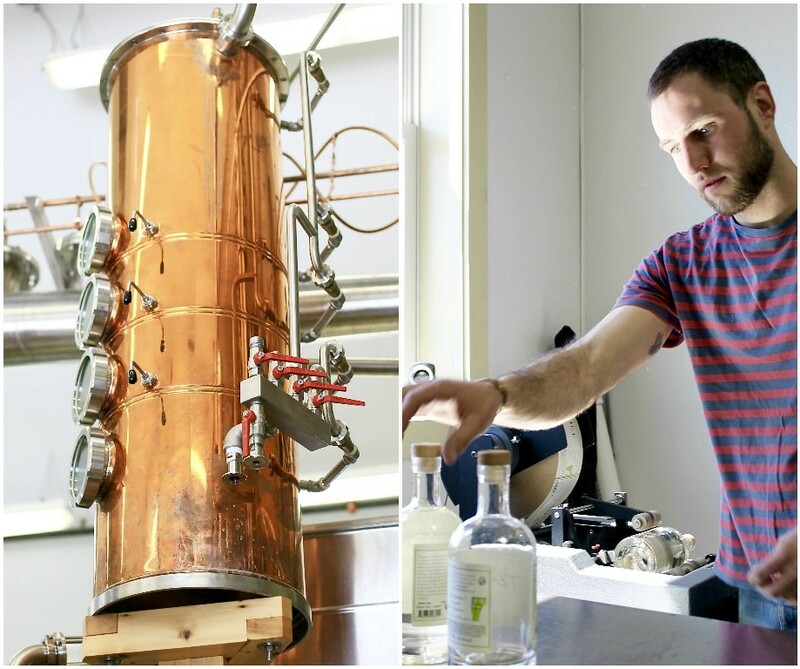 This small batch producer has been utilizing honey as a key ingredient in their craft gin since the beginning of their venture. 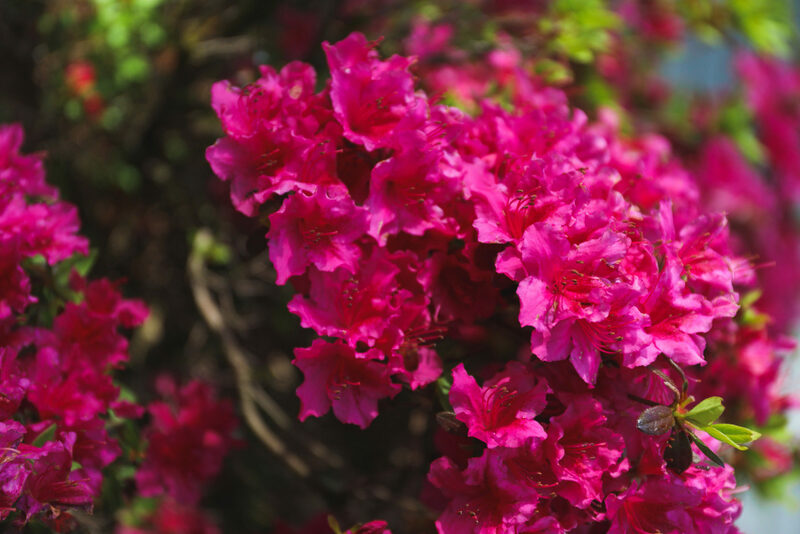 Most intentionally, Caledonia lies in a part of the country where honey bees thrive. “If you draw a line from the United States north into Canada, the further north you go, the more honey the bees generally make each season,” their site states. However, Caledonia “would use up every drop of honey in the state of Vermont” if they were to keep their own bees for spirit production, sales and events rep Hallie tells us. As such, they work with a partner apiary in Upstate New York to supplement their gin. The bees they source from are owned by a third generation beekeeping family, one that founder Todd Hardie has known for many years. Todd, in fact, is a legitimate bee expert himself. He initiated his spirit business after 50 years as a beekeeper, tending to about 1,900 colonies in the Champlain Valley and serving as an apiary and bee inspector for the Vermont Department of Agriculture. 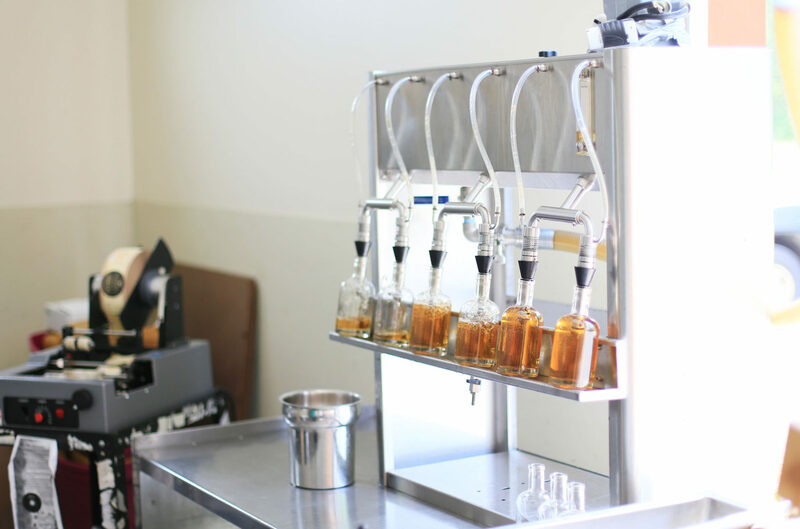 Todd and Caledonia’s respect for honey bees further translates into their distilling process. Pure honey will change a spirit for the better, no matter how you see it. Todd Hardie mentions that he adds raw, organic honey after distillation. He avoids heating the honey, so to maintain the true taste and natural environment from which it came. Deference to this particular ingredient allows for a playful effect on the gin’s color. Fall honey is naturally darker than summer honey, thus varying the spirit’s color throughout the production year. 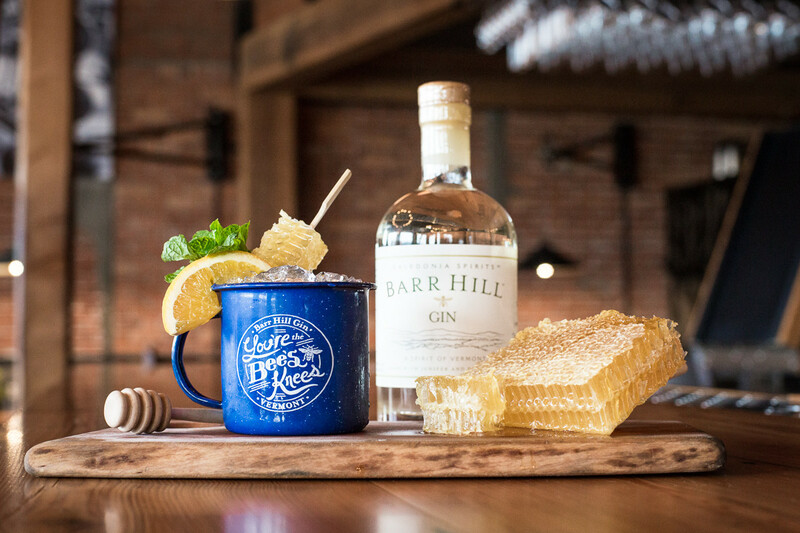 Flavor-wise, raw honey softens Barr Hill Gin by rounding off the edges. Aside from corn and juniper, honey is really the only other ingredient in this spirit. Any further flavor profile one may pick up in the gin derives from the honey itself, and incidentally what the honey bees bring back to their hives. Summer months may produce honey with hints of clover and milkweed, while fall months often yield the taste of apple blossoms. It is quite amazing to step back and admire the heavy influence honey bees have on this particular gin. From varying levels of color to subtle hints of flavor, this spirit is a true reflection of the bee culture here in the North. Todd owns a farm in Greensboro VT, where he tends to his personal hives. There, he is growing elderberry, rye, and barley for future production of whisky and elderberry cordial for Caledonia Spirits. The company continues to strive in the evolution of their gin and other spirits as they also harvest local American White Oak to fashion barrels for aging. We visited the day Caledonia released their white oak Tom Cat barrel aged gin. This newest version of Tom Cat sits in new, charred white oak barrels for four to six months. The recently released gin bottles don a Vermont-shaped tag on each of their necks, cut from this very white oak. Reinvigorated, the new Tom Cat has an added layer of whiskey-like oak and spice notes. Interestingly, Caledonia’s previous barrels were obtained by their neighboring brewer, Hill Farmstead. Shaun Hill and his team aged their Clara beer for over a year in Caledonia barrels, making for a perfectly delicate taste of gin in the finish. With Caledonia on our minds, we’ve noticed Barr Hill and Tom Cat in practically every restaurant and bar we visit. 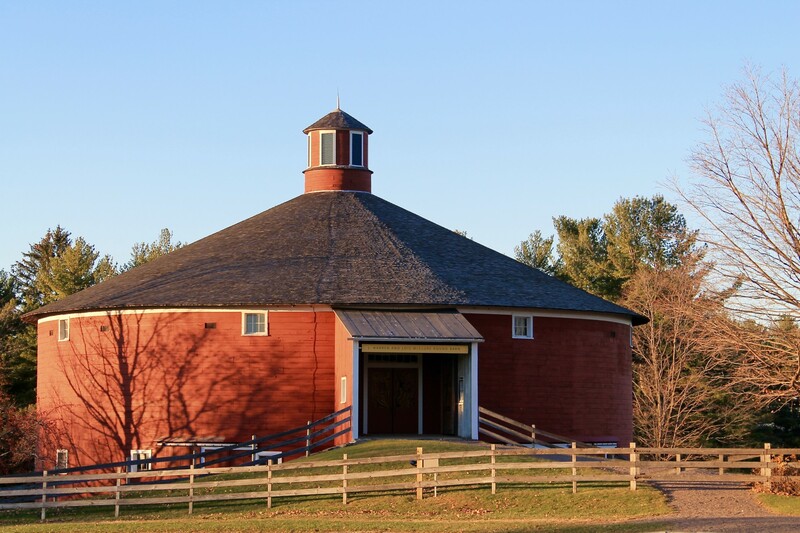 We are happy and excited to see Caledonia’s growth and steadfast popularity here in Vermont. 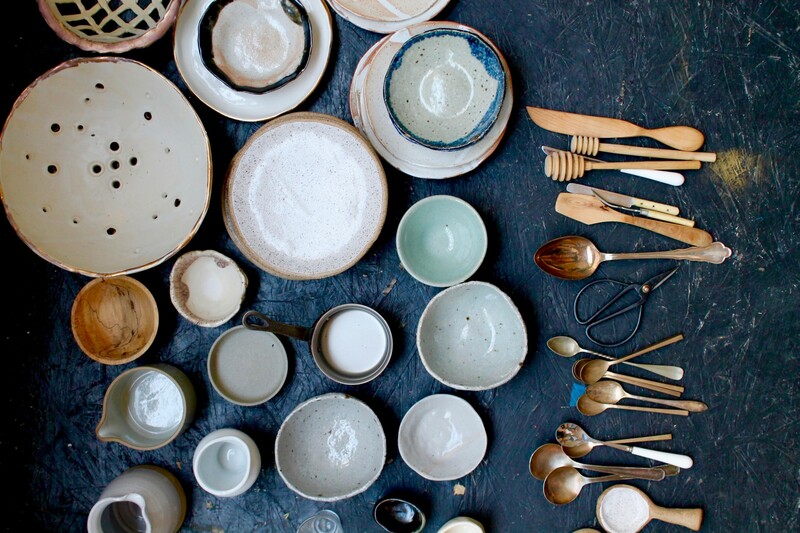 Stay tuned for a collaborative pop-up dinner with paired courses from Jackson House Inn and Caledonia Spirits. Oh yeah!